I've been busy recently preparing for when our little bundle of joy arrives. I'm currently at 38 weeks and growing larger and larger more and more impatient to meet our little guy! In the meantime, I've been making lots and lots of freezer meals (recipes to come) and have also been playing around a lot with my Instant Pot. 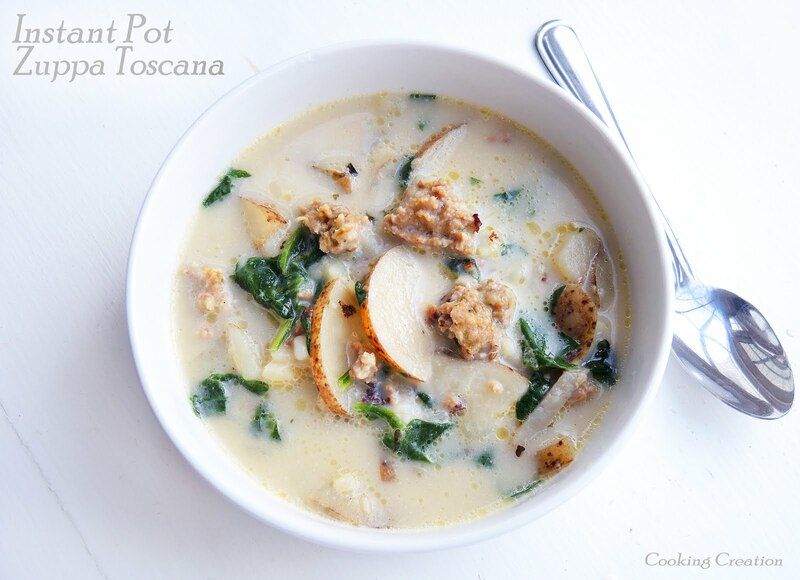 Here is another tried-and-true, delicious, Instant Pot recipe that my family absolutely loves. It yields tender and juicy chicken, is packed with amazing flavor, and has a dreamy, creamy sauce that puts it over the top. 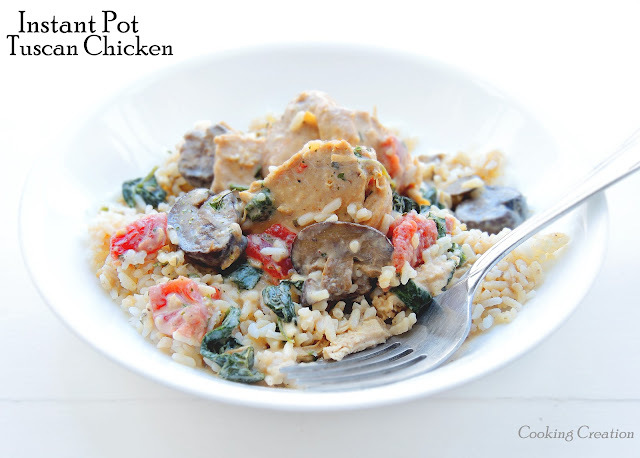 Spoon out that goodness onto some cooked rice or pasta and enjoy! Turn on the saute function of your Instant Pot. When the display reads "Hot," add the butter to the pot. Season the chicken on both sides with salt and pepper. When the butter is melted, brown the chicken breasts for 2 minutes per side. Remove the chicken from the pot and set aside. Add the garlic, mushrooms, and seasonings to the pot and saute for 2 minutes. Deglaze with the soy sauce and chicken broth, scraping up the brown bits from the bottom of the pan. Place the chicken back into the pot along with the juices. Place the cover on top and pressure cook on high for 4 minutes. Natural release for 10 minutes. Release the remaining pressure. Make the sauce. Remove the chicken and set aside. Turn on the saute function, and bring the juices to a boil. Stir in the spinach, tomatoes, heavy cream, shredded cheese blend, Parmesan cheese, and sugar. Combine the cornstarch and water in a small bowl. Pour 1/3 of the cornstarch mixture into the pot and stir. If more thickness is desired, stir in another 1/3 of the cornstarch mixture into the pot. Use the remaining cornstarch mixture, if desired. I only used 1/3 of the total mixture. Allow the sauce to thicken for 1 minute. Meanwhile, slice the chicken breasts into medallions. Place the sliced chicken back into the pot with the sauce, and stir well to combine. Season with salt and pepper, to taste. Serve over pasta or rice and enjoy!